Yesterday, in a piece referred to as a “masterful blend of sports nerdery, general nerdery, and social justice”1, I pointed out the inherent sexism in Siri’s erroneous reply to a sports query. 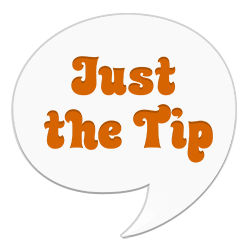 Siri is the only virtual assistant I use with any regularity, but after publishing, I decided to examine how other assistants fare in this same test. 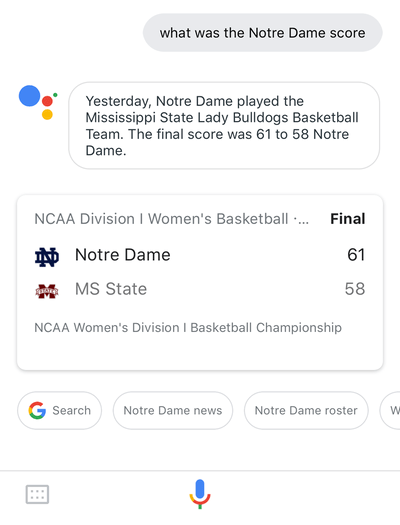 When asked for the Notre Dame score, would any of them reply with the desired information on the women’s NCAA basketball final? To start, I plugged in an otherwise-unused Echo Dot and waited for it to get its creep on. Once the Dot had booted up and its always-on microphone was listening, I asked Alexa for the Notre Dame score. It came back with news about men’s ice hockey, which was rather unexpected. At least the hockey team’s season is still in progress, making this slightly more relevant than other results. Still, it certainly wasn’t what I wanted. I then tried asking about the Mississippi State score, with a similar lack of success. 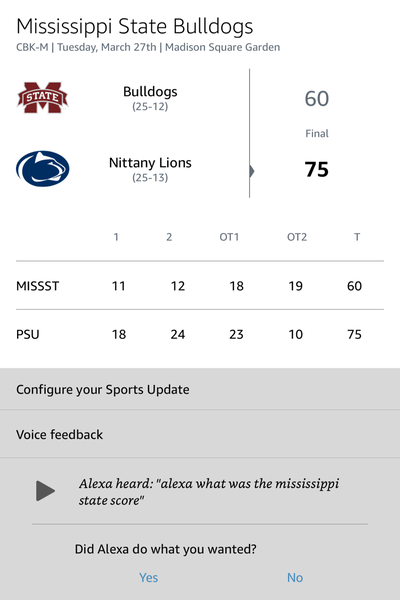 Like Siri before it, Alexa defaulted to the men’s basketball team’s season-ending loss from March 27th. 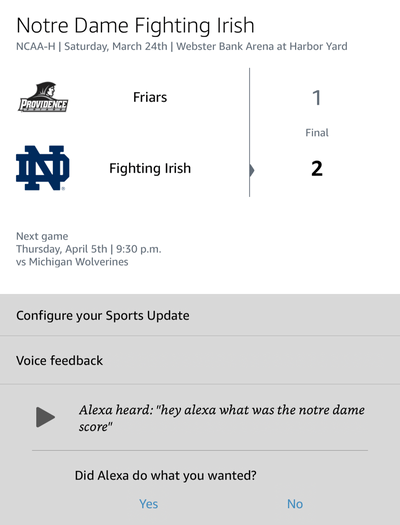 Only when asked specifically about the Notre Dame women’s basketball score did Alexa return the desired result. Yet even there she botched things, referring to the second best team in the country as the “Mississippi State Lady Bulldogs Women”. However, Alexa is better than Siri in one crucial way. The screenshots above come from the Amazon Alexa iOS app, which provides a visual history of queries made to the device. As you can see, the app asks if Alexa did what I wanted. When I tapped “No”, it allowed me to provide feedback. I did so, and as a result, Alexa may be improved. Siri provides no such option, seemingly content to be both wrong and blissfully ignorant. Next, I downloaded the iOS version of Microsoft’s assistant Cortana. When asked for the Notre Dame score, it offered information on a football game from three months ago. While this Citrus Bowl win sounds like a thriller, I was most definitely not interested in what happened on New Year’s Day at the no-doubt-glamorous “Camping World Stadium”. Football may be Notre Dame’s single most popular team, but this game is practically ancient. As other incorrect assistant-provided answers have shown, both men’s basketball and men’s ice hockey have had much more recent games. That makes this response not just sexist, but footballist. Or something. Sportist? I dunno. Either way, it’s lousy. 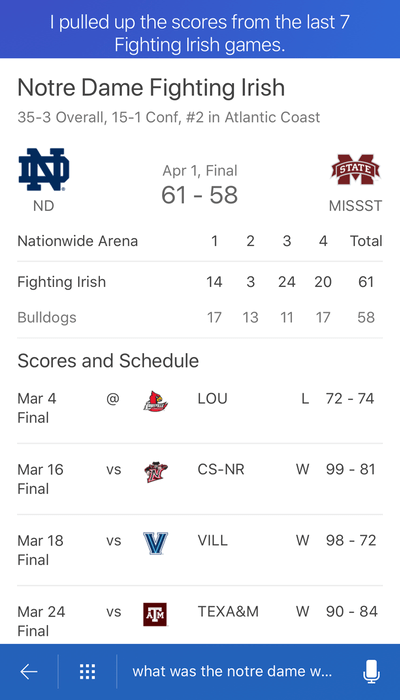 This result was very low quality, though, with the audio stating only that “Yesterday, Fighting Irish defeated Bulldogs 61-58”. 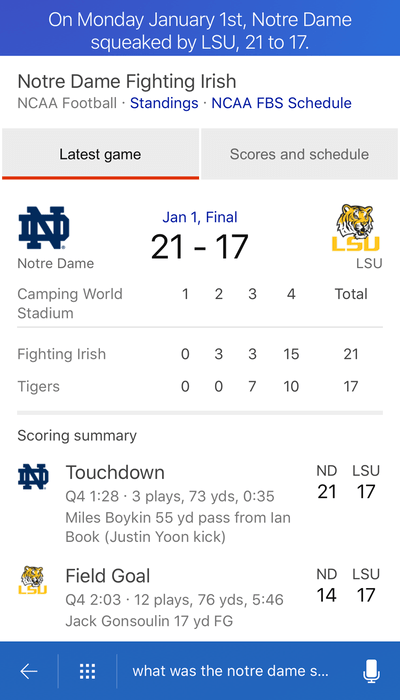 In contrast, Cortana obviously knew a decent amount about the previously noted football game, mentioning that Notre Dame had “squeaked by” LSU, “winning the Citrus Bowl”. All in all, it’s a bad look for Microsoft’s assistant. Good for you, Google. Keep it up. The misguided results offered by most virtual assistant would perhaps be less problematic if they were entirely ignorant of women’s sports. Were that the case, it might simply be something coming in the future. As it stands, however, nearly all digital assistants are doing a very poor job when it comes to gender equality. These companies each need to step up their game.